Omesi is a Barrister & Solicitor of the Supreme Court of Nigeria. As a member of the TENS Legal Team, Omesi is involved in the process of drawing a comparative analysis between the Education laws in some Nigerian States and identifying possible gaps that will strengthen existing educational policies within these states, ins this case, Niger State. Omesi is proficient in Criminal law, Property Law, Writing Legal Opinion, Research and Company Secretarial. 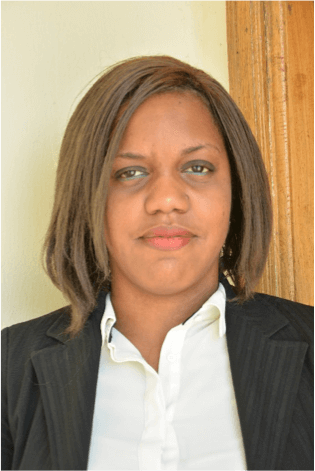 Her exposure to the Law Profession has seen her occupy different positions at renowned law firms such as VATad, where she is still active, Biyi Durojaiye & Co, and Femi Aborisade & Kunle Opeif respectively. During her stay at the University of Ibadan Nigeria, she held various positions which include: Financial Secretary, Christian Law Students’ Fellowship Organisation of Nigeria (CLASFON), University of Ibadan Chapter, Nigeria; Member, Audit Committee of the Law Students’ Society (LSS) Congress, University of Ibadan, Nigeria; Deputy Head Fund raising Committee, Law Students’ Society, (LSS), University of Ibadan, Nigeria and Financial Secretary Law Students’ Society, University of Ibadan, Nigeria. In the year 2013, upon graduation from the University of Ibadan, Miss Mamedu was awarded the Best Law Students’ Society Executive by the former Dean of Law, Professor Oluyemisi Bamgbose. While at the Nigerian Law School, Omesi was a member of the Student Representative Council. She is an Associate Fellow of the Royal Commonwealth Society in England with special interest in research, organization and community development. Omesi is a graduate from the University of Ibadan, Nigeria, the Founder of a Non-Governmental Organisation, Community Advancement Project Organisation (CAP ORG), and was called to the Nigerian Bar in 2014.